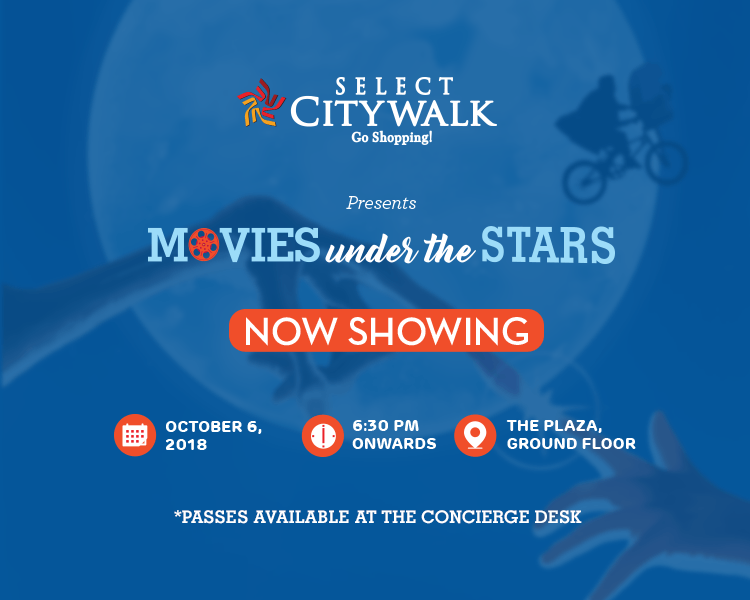 All the Sci-Fi enthusiasts out there, get ready to experience the best of the fantasy world as Movie under the stars presents you with The Extra-Terrestrial this time. A captivating story of the friendship between an alien, who is left behind on the Earth and the little Elliot, who saves him will definitely melt your heart. So come along with your friends in the screening of this incredible movie at The Plaza, Select CITYWALK on October 6th. Entry is free on the first-come-first-serve basis. Join us by registering yourself at https://goo.gl/PtT1qd and collect your passes at the concierge desk.